2.5L Reservoir is the ultimate delivery system for an operator's water supply. The reservoir’s proven durability & rugged materials ensures the reliable delivery of water during extreme operational situations. Insulated hose with quick-detach. 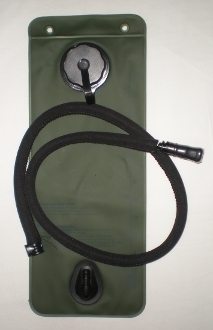 Compatable with Military/Camelbak QD products.